I am so excited for my friend Susan of She’s Becoming Doughmesstic who’s book just came out called The Everything Ice Cream, Gelato, and Frozen Desserts Cookbook. Be sure to check out some of my friends who have highlighted Susan’s ice cream recipes from her new book. Susan, Maria, Bree, Brandi, and Paula. 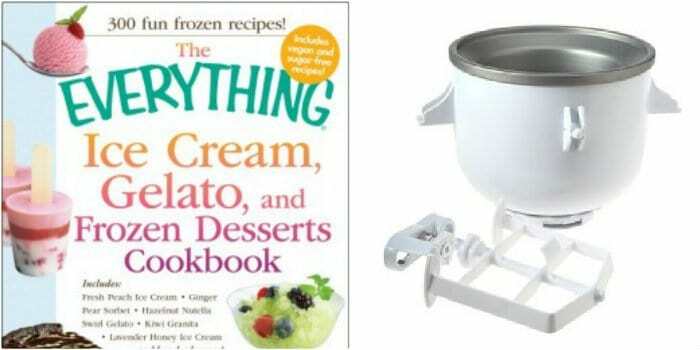 Susan is giving a lucky Picky Palate Reader a copy of her new cookbook and KitchenAid is giving away a fabulous Ice Cream Maker Attachment. I chose to make Susan’s Milky Way Ice Cream. It is creamy chocolaty and perfect. Make sure you print out the recipe below. Contest is now closed, winner has been notified. Thanks! 1. Join Picky Palate and Doughmesstic on Facebook. 3. Contest is over Saturday May 26th 8am PST. Winner will be chosen via Random.org and will have 48 hours to return my email. Giveaway open to US Residents only. Giveaway provided by Susan and KitchenAid. 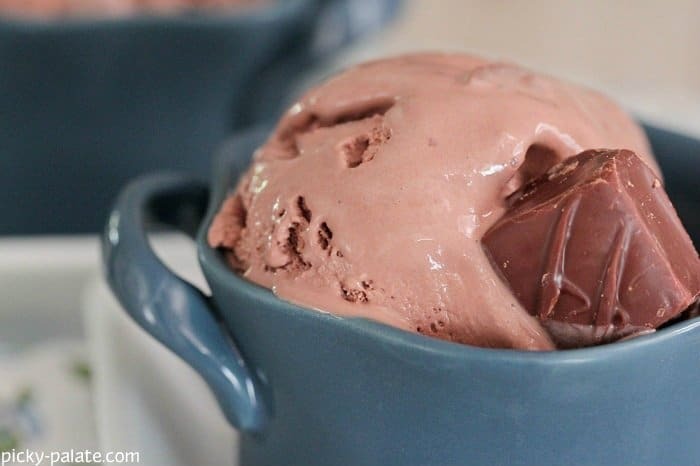 What starts with a simple chocolate ice cream base turns in to a decadent treat with the addition of store bought marshmallow fluff. For extra wow, stir in some chocolate marshmallows and fudge sauce before freezing. 1. Over medium heat, combine milk, cream, cocoa powder, sugar and salt until sugar is dissolved. Remove from heat and add in marshmallow fluff and vanilla. Stir to combine. 2. Allow to chill in refrigerator for 3-4 hours, or overnight. 3. Once chilled, stir in chopped candy bar pieces and add to ice cream maker. Follow manufacturer’s instructions for freezing. $250 Modern Bird Studios Giveaway! Christmas Card Giveaway! 3 Winners by Shutterfly. Nestle’s Back To School Kit Giveaway! Strawberry is the absolute best, but I love cake batter at Coldstone too! 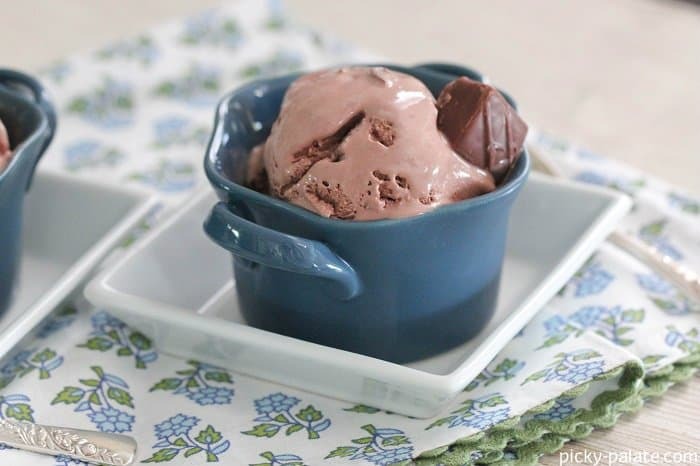 My favorite ice cream is homemade – vanilla with chocolate fudge and peanuts added. Yum Yum. My favorite ice cream is homemade vanilla like we had growing up! I”liked” Picky Palate on Facebook. I “liked” Doughmesstic on Facebook. I subscribed to Picky Palate via e-mail! I follow Doughmesstic on FB. I subscribe to Picky Palate via email. My Fav is mint chocolate chip!! I have joined picky palate and dougmesstic on facebook. I follow Picky Palate on Pinterest. I can not for the life of me figure out how to subscribe to Picky Palate emails but I would love to! I’m subscribed to your emails ! 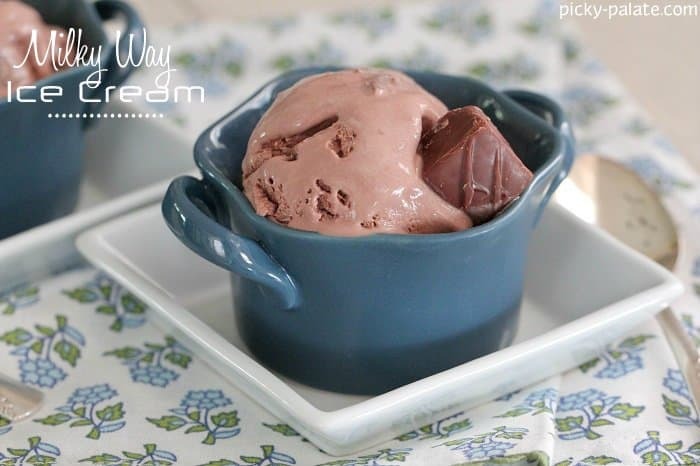 my favorite ice cream varies but most of the time its anything with chocolate ! I would have to say chocolate or fresh peach. Favorite ice cream is a tie between mint chocolate chip and peanut butter chocolate. Yum!!! I’ve joined Picky Palate and Doughmesstic on Facebook! I just subscribed to Picky Palate via email. Thanks! Real vanilla bean ice cream, perfection! my favorite type of ice cream is mint chip! I love Snickers ice cream…..Oh sooooo delish! My favorite is chocolate peanut butter (or is it peanut butter chocolate?). Second comes vanilla ’cause it tastes so good with any kind of topping. Hands down it is mint chocolate chip! My favorite kind of ice cream is homemade mint oreo! Anything chocolate with “stuff” added. That milky way recipe is right up my alley! I love ice cream, so my favorites change with the seasons. My new favorite ice cream is Dreyers peanut butter cup.